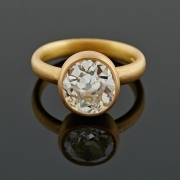 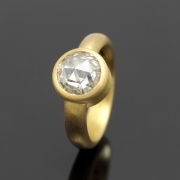 I warmed to Deborah Cadby as she enthused about her passion for historical and antique stone cuts and designs for engagement ring commissions. 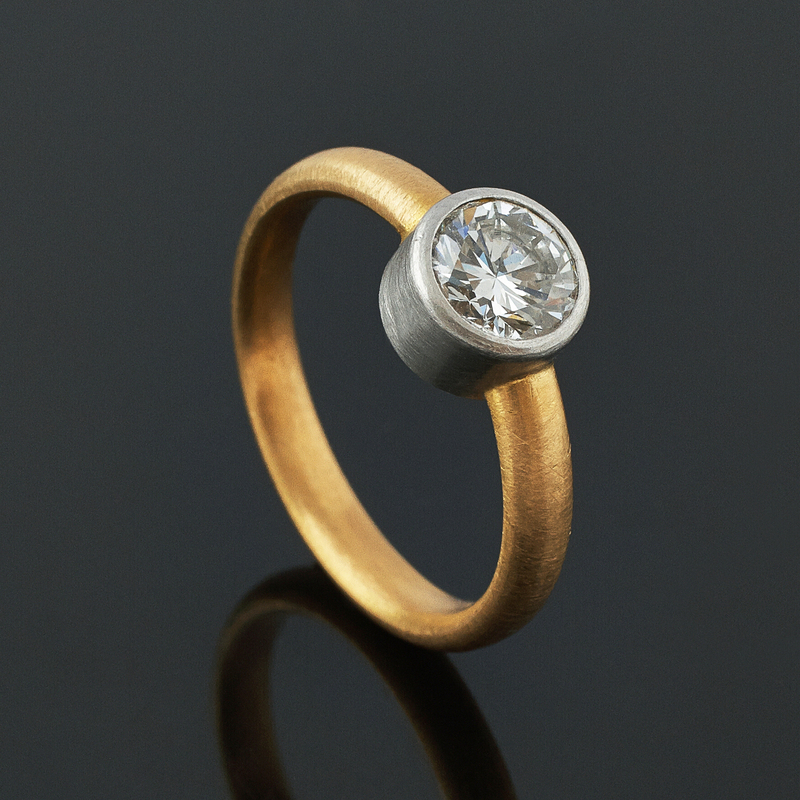 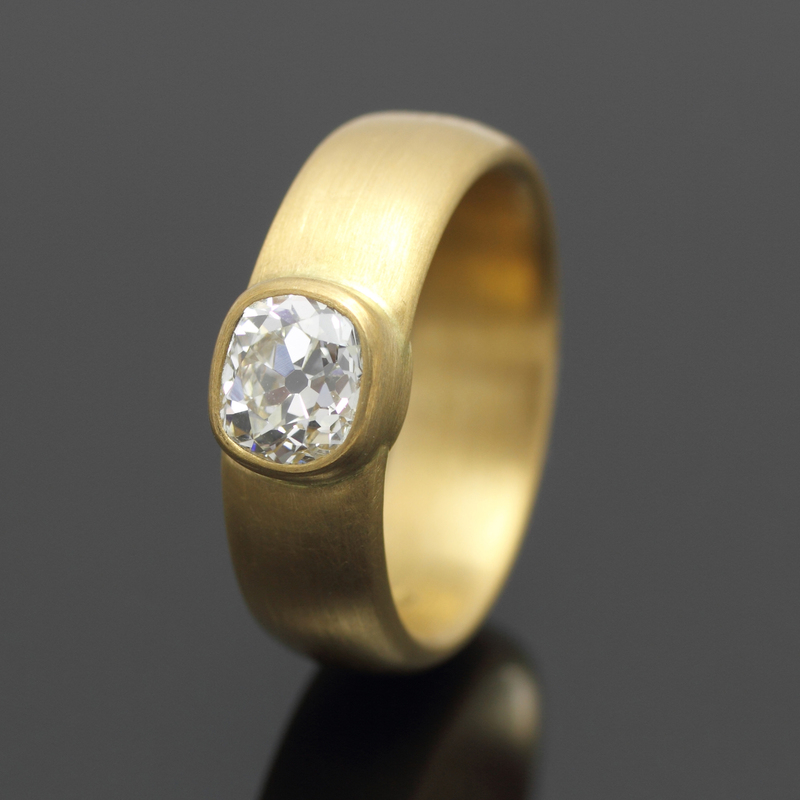 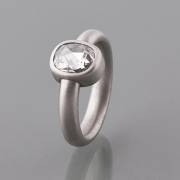 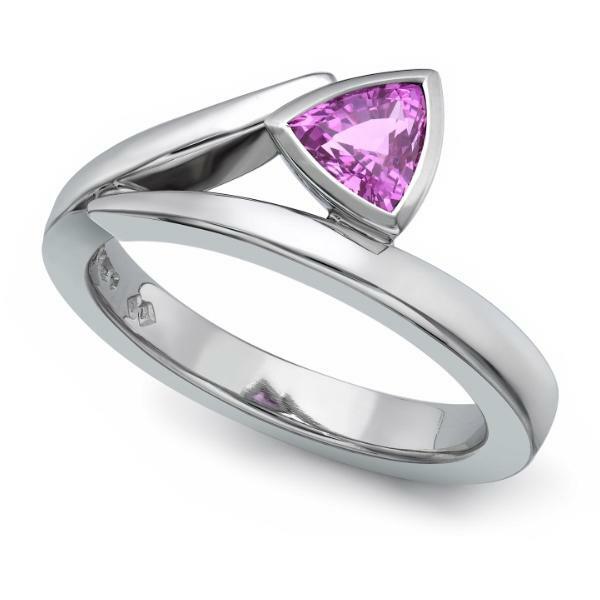 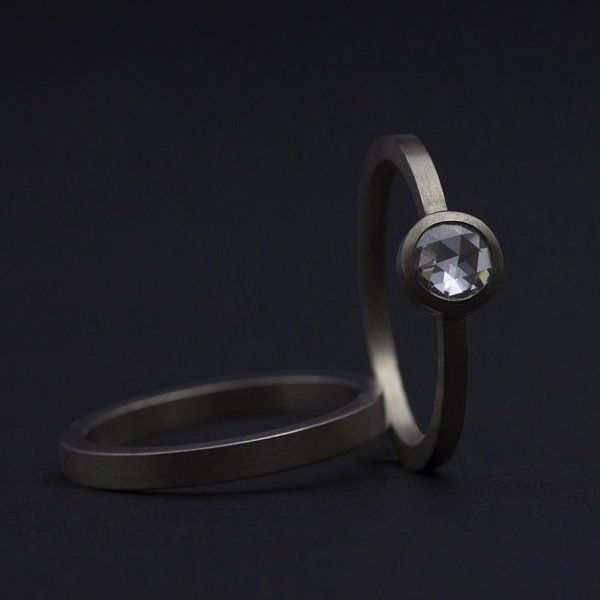 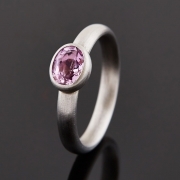 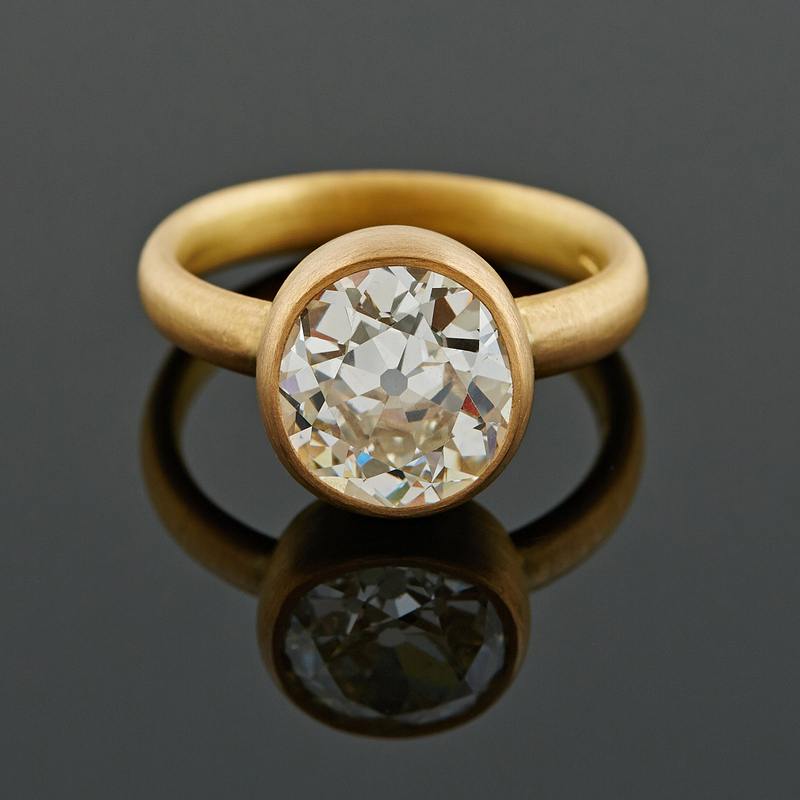 For clients who want to commission a ring that has a truly different look from the traditional High Street pieces, Deborah is a designer who certainly has an answer. 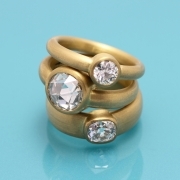 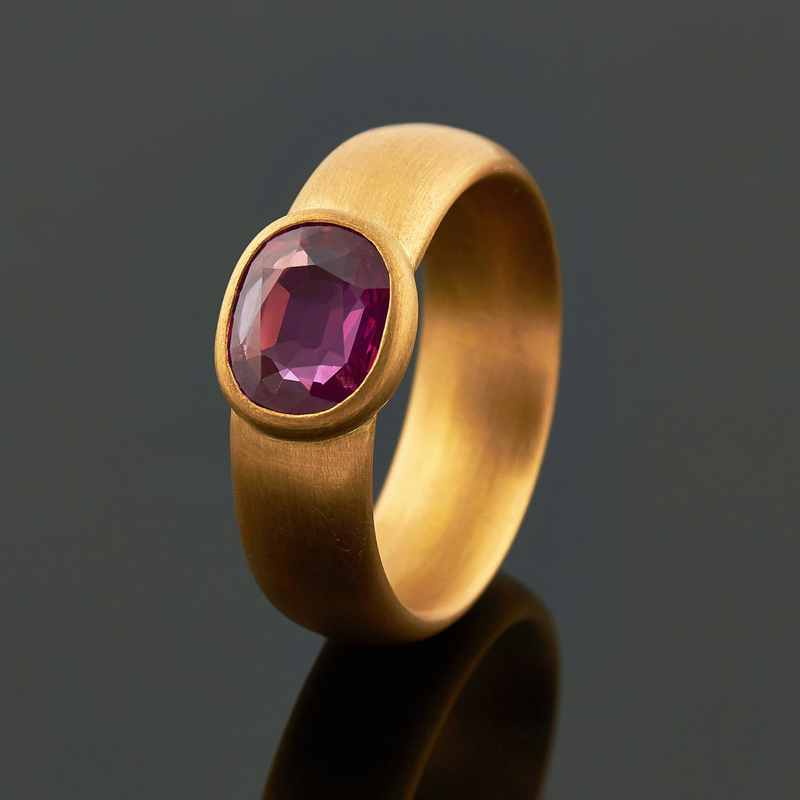 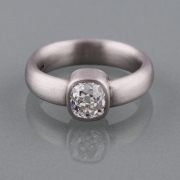 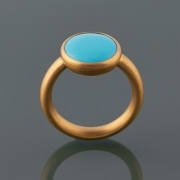 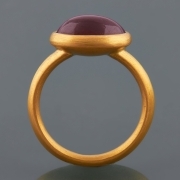 If you love the idea of a gemstone with a past and a previous life or if you want an engagement ring that incorporates elements of a family heirloom, a studio visit and consultation with Deborah Cadby would be my first recommendation. 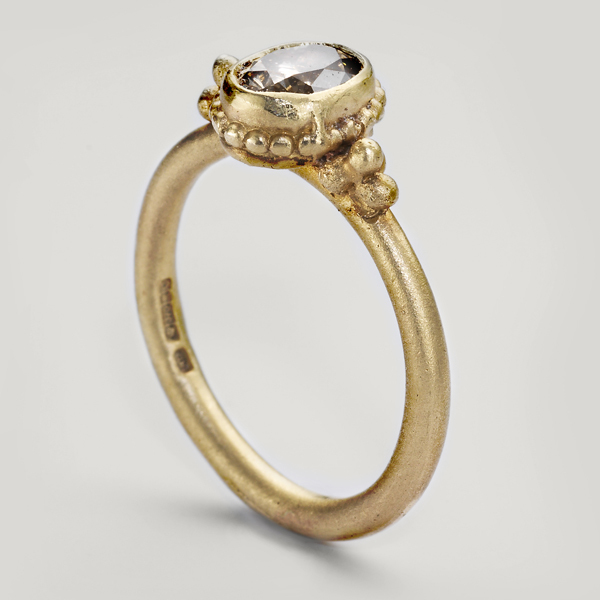 The historian and romantic in me identifies immediately with Deborah Cadby’s engagement ring designs. 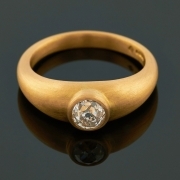 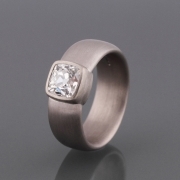 Her speciality is the antique cut: the Rose Cut, the Old Mine Cut and the Cushion Cut in particular. 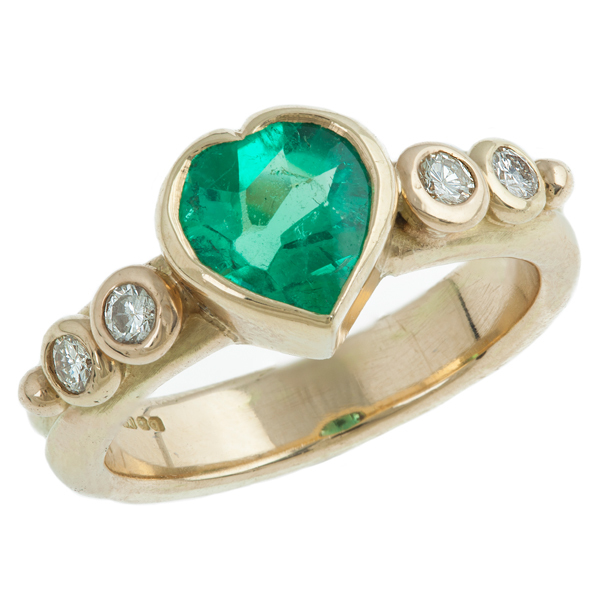 All the gems that she works with are hand cut and this guarantees that any ring a couple commissions from her will be unlike any other. 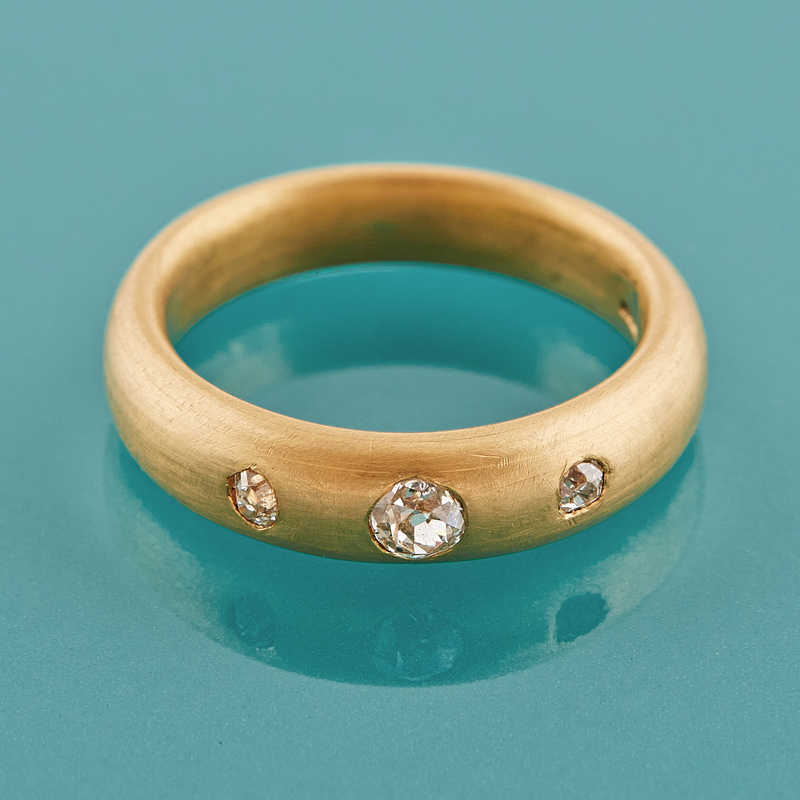 Deborah’s passion for these old cuts is well founded. 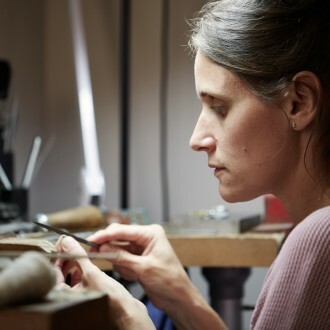 She showed us how the cutter uses artistic skill and years of experience to cut the gemstone in a way that elicits the maximum beauty in the stone. 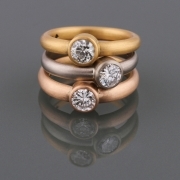 The charm of the fractionally uneven facets and the varying degrees of depth give these stones a personality and totally unique beauty of their own. Deborah Cadby sources these antique cut stones so that her clients get an engagement ring with an understated elegance and sophistication that challenges the brash glitz and glamour of a modern cut. 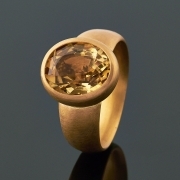 Deborah Cadby is entirely guided by the shape of her unique and exceptional gemstone shapes when it comes to the design of her bespoke engagement rings. With consummate skill, Deborah always designs settings that never upstage the gem. 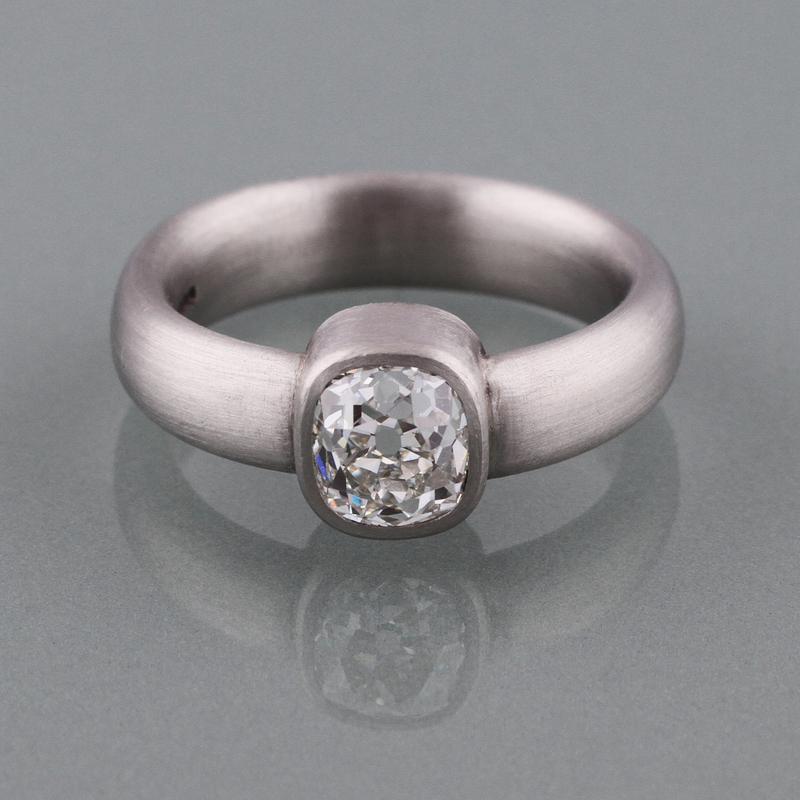 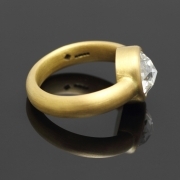 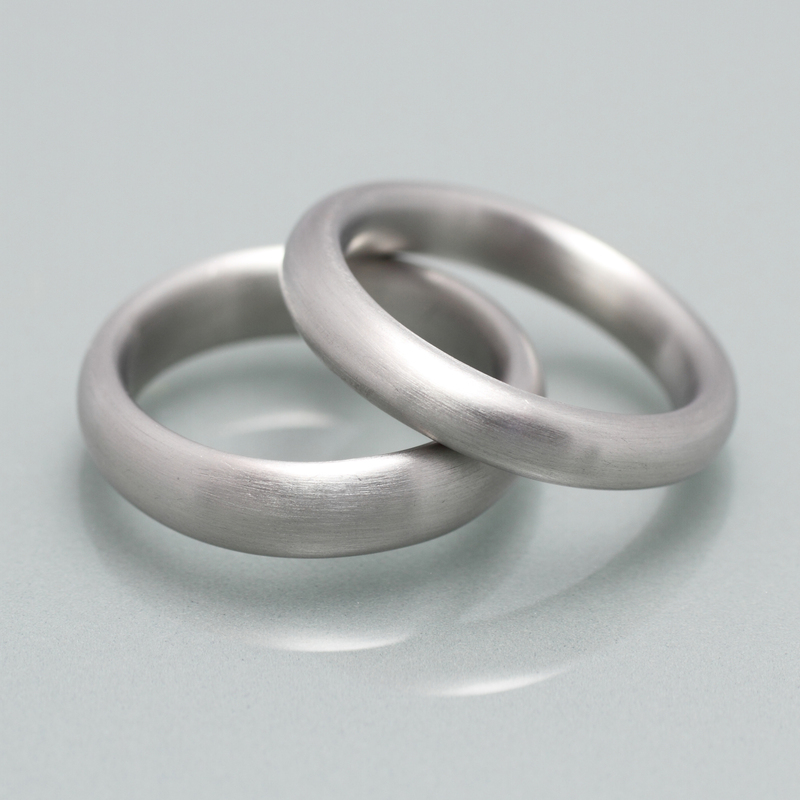 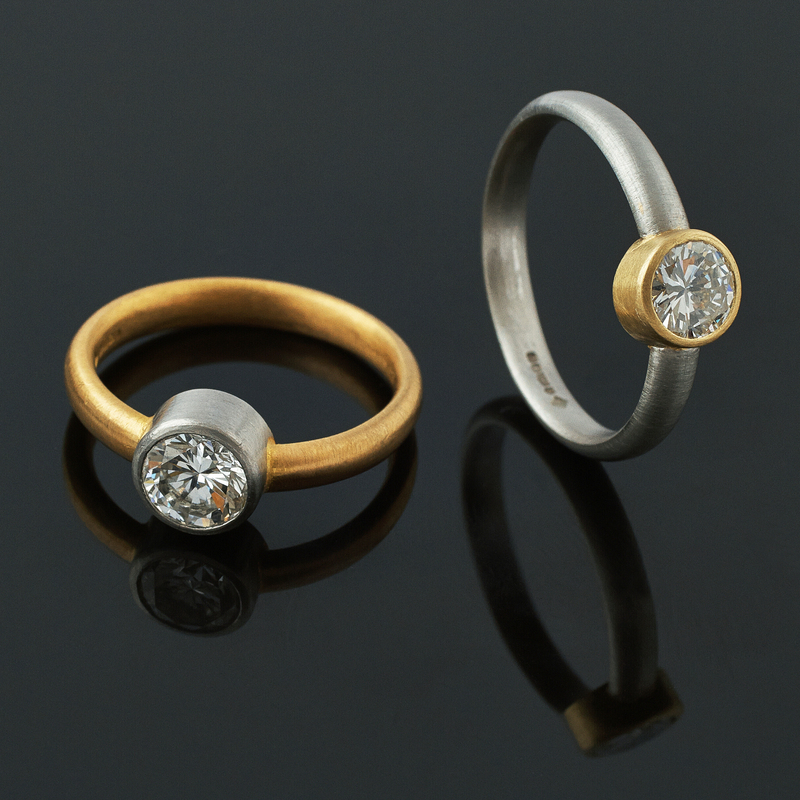 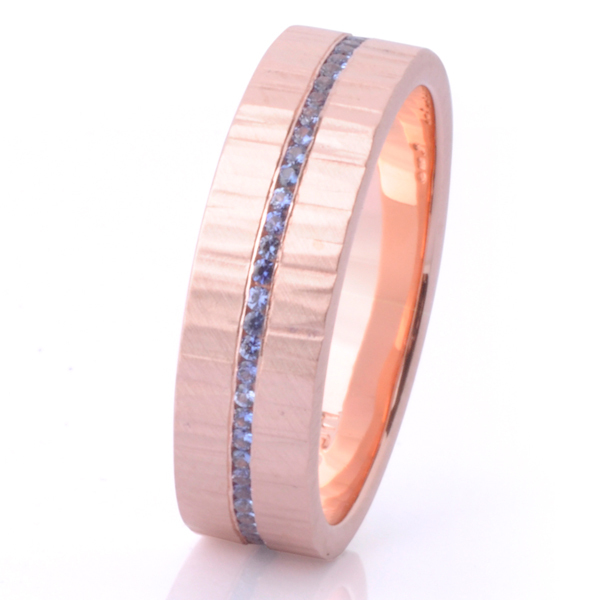 Those couples who are attracted to a minimalist simplicity of ring design will have every expectation met when they work with Deborah Cadby. 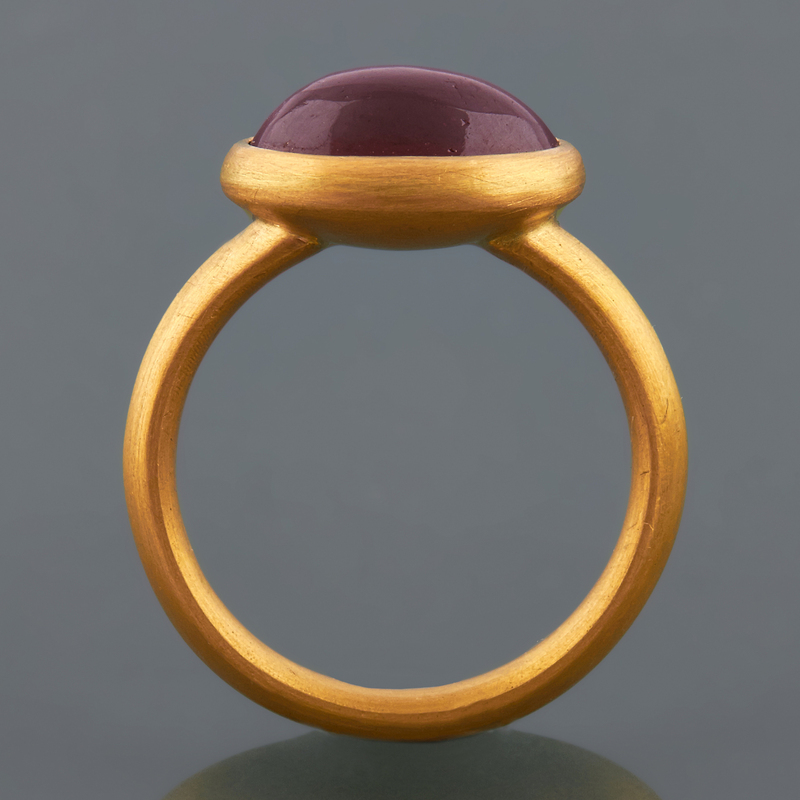 The timelessness of her pieces is assured by the softness, the curved shapes, the warmth and the tactile nature of her designs. 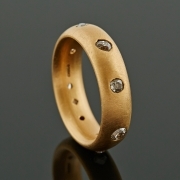 She prefers to work with the warm golden tones of 22 carat gold or with platinum for the bands and settings of her engagement rings to complement the sense of ancient and historical styles that her design work evokes.